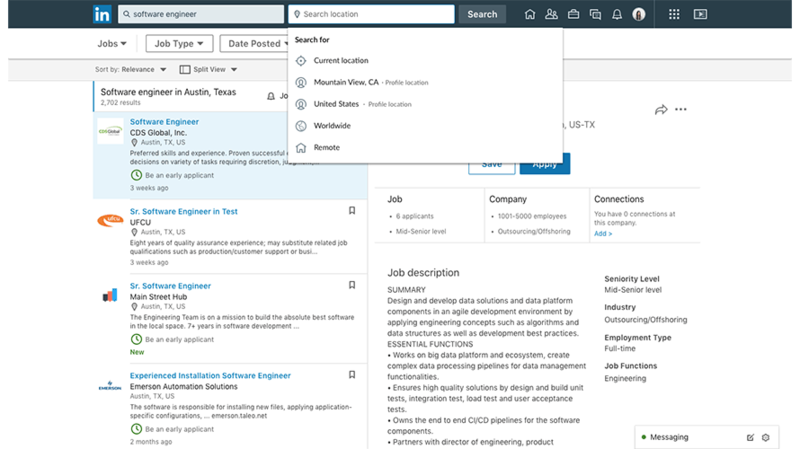 LinkedIn launched new features to help job seekers find their next position, and to help recruiters find the right candidate for each role. To start, job seekers can now search for remote positions by selecting “remote jobs” as the preferred location. The search results will only contain jobs that the poster has said are entirely remote. Users can also update their Career Preferences to show recruiters that they’re open to remote positions. 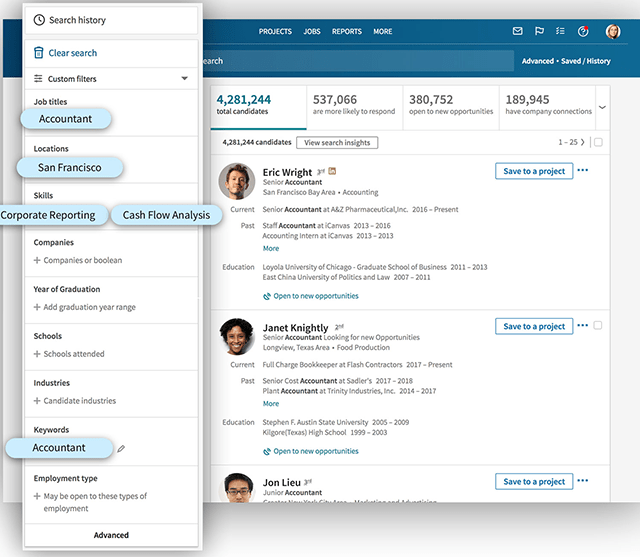 Next, when using LinkedIn Salary, users can now search by company, in addition to job title, in order to see how salaries vary at different companies. For recruiters, three new features are being rolled out to LinkedIn Recruiter. First, recruiters can now create individual projects for each role they’re looking to fill, and search for candidates within that project. In a blog post, Patrick Cheung, senior product manager of talent solutions at LinkedIn, explained how this works. Next, recruiters can now save or hide candidates in their search results with a single click. When a candidate is hidden, they’ll only be removed from the current search results. They may still appear in other searches made in the future. Finally, LinkedIn Recruiter will now save a recruiter’s place when they leave Recruiter, and they’ll be taken to the last search results page they were on when they return.